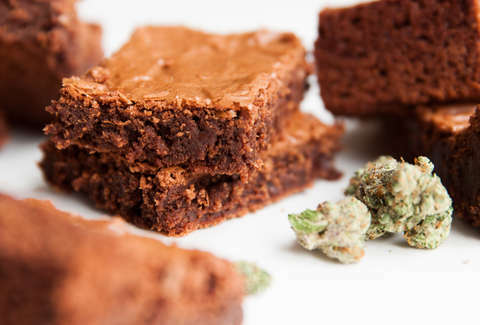 Unless your Grandma was more into jam bands than making jam, you've probably never tasted pot brownies that could even compare to her delicious, fudgy chocolate-swirl brownies. Until now. The recipe comes from Denver’s Sweet Grass Kitchen, one of Colorado’s largest distributors of cannabis-infused edibles, and winner of this year’s People’s Choice for “Best Edible Products” at the Cannabis Business Awards. 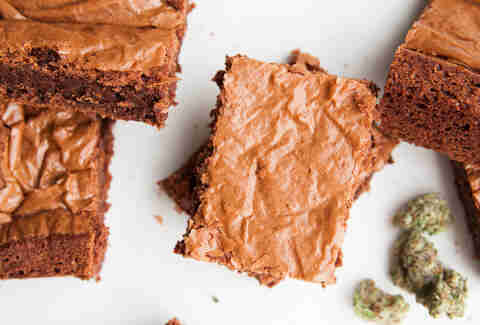 These brownies won’t do that, but one or two servings (depending on your tolerance) will give you a nice, euphoric feeling after about an hour or two. “It’s the edible equivalent of smoking a joint,” says Finesilver. And if you do get the munchies, please, please don't eat more brownies. Just nosh on some chimichachos, pizza rolls, or a tater tot grilled cheese instead. Preheat oven to 350℉. Grease an 8-inch square cake pan with butter or cooking spray; set aside. Melt butters in a medium saucepan over medium heat. 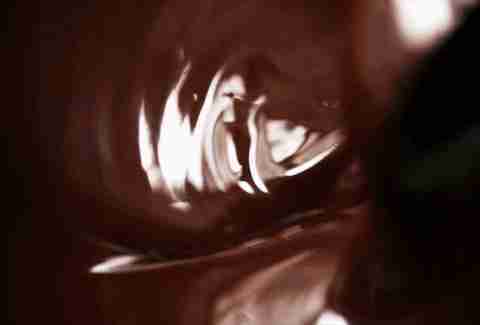 Stir in chocolate until combined and smooth. Remove from heat and allow to cool for 5 minutes. In a large bowl, whisk together eggs, sugar, vanilla, and salt until fluffy and light yellow. Add chocolate mixture and mix until combined. Add flour mixture and mix until combined. Pour into greased pan and bake for 20-25 minutes, or until the edges pull away from the pan and the top has an even, shiny crust. Let cool for 20 minutes. Cut into 12 even pieces. Serve warm (can be stored in an airtight container at room temperature for one week or in the refrigerator for up to a month).